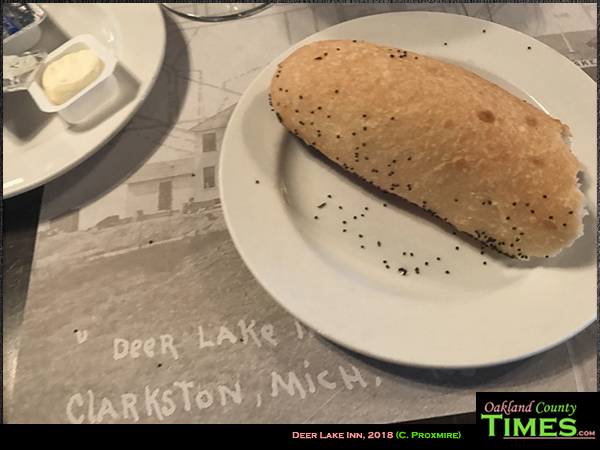 Independence Township, Clarkston, MI – Deer Lake Inn in Independence Township near Clarkston is part of the Kruse and Muer family of restaurants. A friend and I went for lunch and enjoyed the cozy little restaurant that sits atop a slight hill at 7504 Dixie Highway. 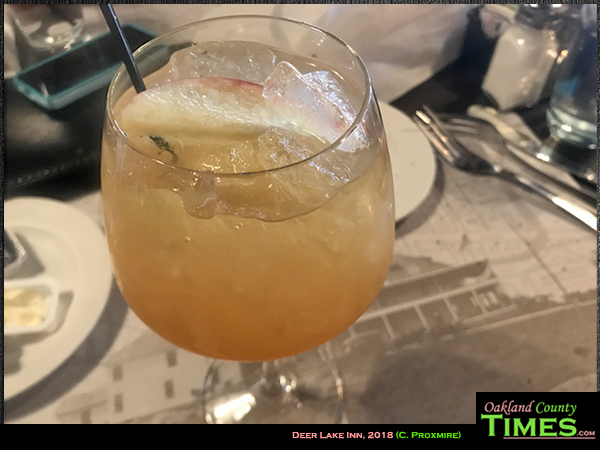 The waiter started us out with a loaf of warm fresh bread served with butter, and I also had an apple cider sangria made with white wine, mulling spices, and apple cider. 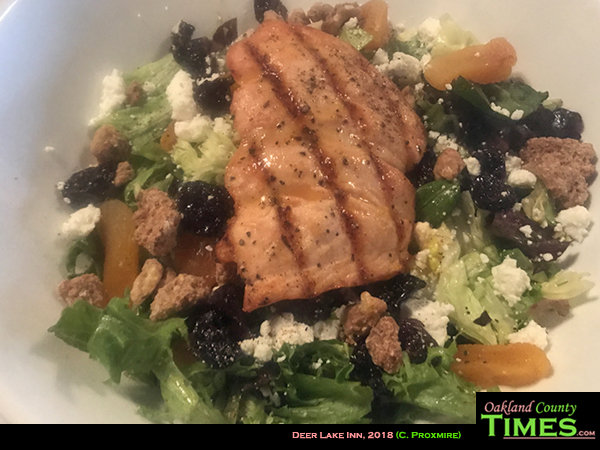 Lunch was a delicious salmon apricot salad, which came with dried apricots and cherries, sugared walnuts, chevre cheese and apricot ginger vinaigrette. I’m pretty sure this is the best salad I’ve had in my entire life and I will undoubtedly be back to have this again. 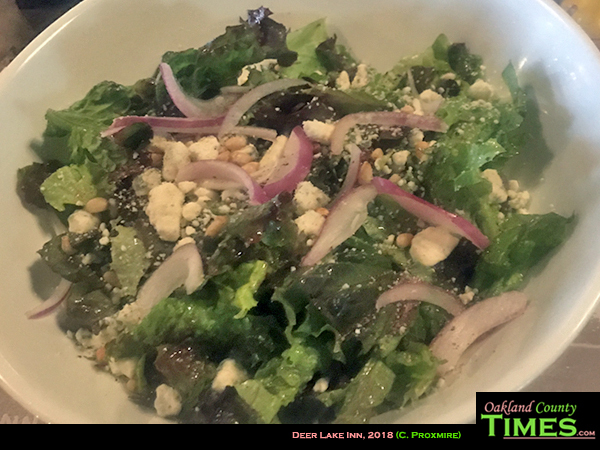 My lunchtime companion had the Martha’s Vineyard salad, made with bleu cheese, pinenuts, purple onion, and raspberry vinaigrette. The menu includes a section for sandwiches, as well as pasta dishes, and other entrees. 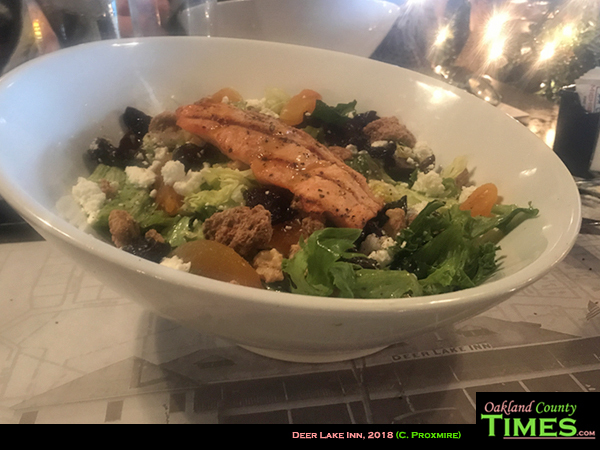 Some items that caught our eyes were the pan roasted chicken, flash fried calamari, Charley’s Chowder, Kruser Fish Tacos and Red Wing Pizza. 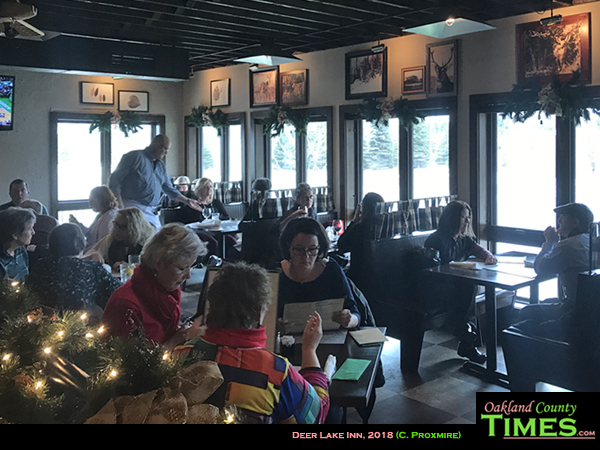 Learn more about Deer Lake Inn at the Kruse and Muer website.